BTC IS THE REAL BITCOIN. Bitcoin Is BTC Shirt – Satoshi Nakamoto Digital Cash System. Best Crypto / Bitcoin shirt for cryptocurrency coin miners, traders, and HODL ers. Shill cryptocurrency and blockchain crypto coins in this awesome BTC crypto tshirt! Funny crypto meme gift shirt for women, men, and kids. Peer to peer digital cash. BTC IS THE REAL BITCOIN. 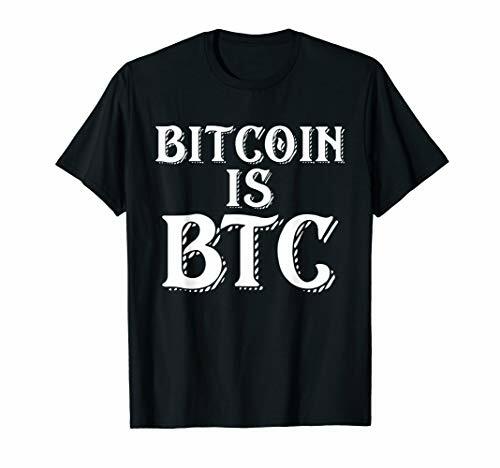 Bitcoin Is BTC Shirt – Satoshi Nakamoto Digital Cash System. Best Crypto / Bitcoin shirt for cryptocurrency coin miners, traders, and HODL ers. Shill cryptocurrency and blockchain crypto coins in this awesome BTC crypto tshirt! Funny crypto meme gift shirt for women, men, and kids. Peer to peer digital cash. Support cryptocurrency adoption rates by wearing our Bitcoin clothing apparel and accessories. Secure your Cryptocurrency wallets, mining hardware, public keys, and private keys. Read the Satoshi Nakamoto 2008 Bitcoin whitepaper P2P digital cash system.